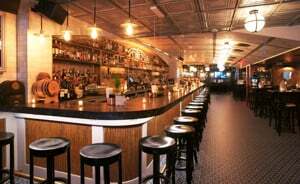 Brings together the character of Hell’s Kitchen past with the buzz of its present in an upbeat spot for craft cocktail artistry. Beer hall casual meets craft cocktails with a healthy dose of style and Irish hospitality along the way. 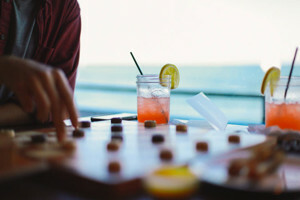 Multi-concept restaurant offering modern Japanese cuisine, alongside an ever-evolving traditional kaiseki tasting meal. 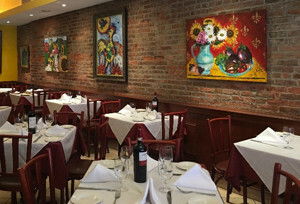 Vida Verde brings the tastes, colors, sounds, and scents of Mexico to Midtown West. 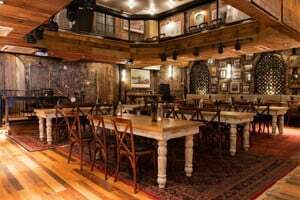 Beloved midtown spot takes inspiration from local tradition, with main bar area styled as an early 20th-century New York drinking house. 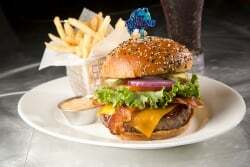 The newest member to the Heartland Brewery family, HB Burger, is not your average burger joint. 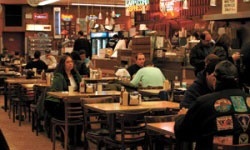 With wrought iron and amber lighting, two bars and spacious seating, this restaurant serves up nine specialty burgers and great salads, accompanied by a tasty assortment of "Must Frys" from tater tots to tempura. 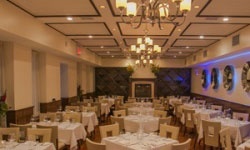 One-of-a-kind elegant fine dining, drinks, and extravagant live entertainment at one of NYC’s very best restaurants. 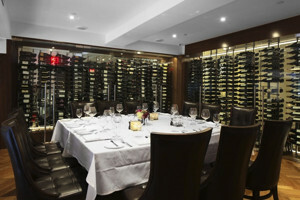 Fogo de Chão's first churrascaria (Brazilian steakhouse) in New York City serves the delicious preparations of gaucho chefs along with a gourmet salad bar, authentic Brazilian side dishes, and an award-winning wine list. 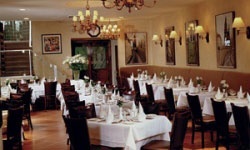 Enjoy fine Indian dining in an elegant setting. 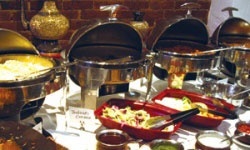 Darbar Grill is a superb choice for Indian food with great ambience and service. 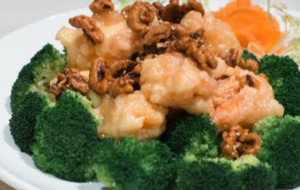 An’nam serves up delicious Japanese and Vietnamese favorites for lunch and dinner seven days a week. 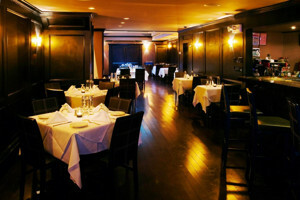 A sophisticated, elegant steakhouse with generous portions of prime steaks, cold-water lobster tails, and other tempting specialties. 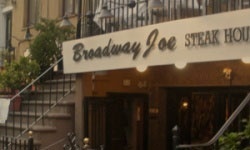 Since 1973, a must stop in Little Italy! 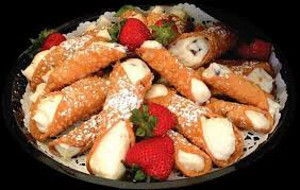 Home of New York’s Award-Winning Cannoli! 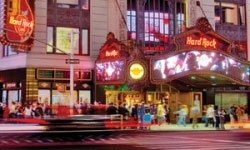 Color and great music steps away from Broadway shows and Times Square. 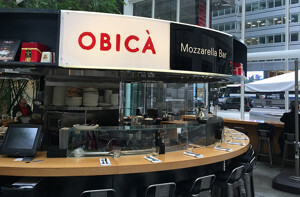 Quintessential New York dining experience, featuring an extensive bar selection and delights for all palates, including spit-roasted meats, seafood, and Blue Ribbon classics. 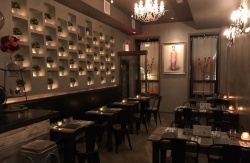 Modern Indian bistro in midtown Manhattan helmed by celebrated tandoor master chef Hemant Mathur and his wife, acclaimed pastry chef Surbhi Sahni. 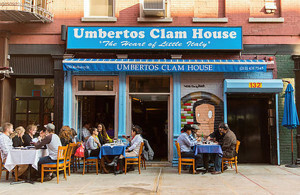 A hidden gem in the heart of the West Village. Rated No. 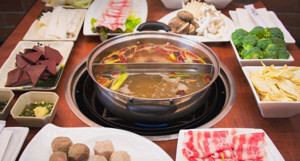 1 Best Soup Dumpling in the City by SinoVision. For great food, famous memorabilia, awesome merchandise, and out-of-this-world events, there’s no place like the Planet. Thrill to the magic of Hollywood surrounded by the largest movie memorabilia collection in the world! 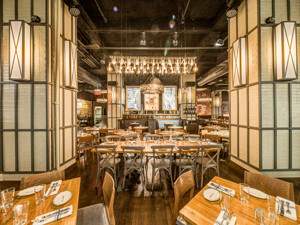 David Burke Kitchen brings creative, inventive culinary style to downtown New York. 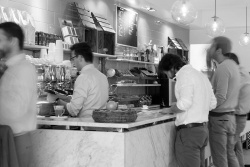 Entering a Zibetto Espresso Bar should feel like walking into any small café from Trieste to Milano. New York City’s most famous landmark, the Empire State Building, now houses New York’s number one brewery, a two-story 450-seat Heartland equipped with two large bars and four giant flat-screen TV’s. 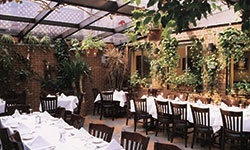 Spacious beer garden in the West Village. 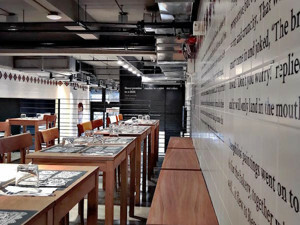 Freshly prepared, simple, delicious Greek food inspired by authentic culinary traditions and perfected by exceptional Greek chefs. 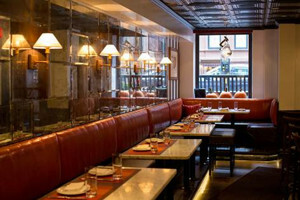 Restaurant and beer hall in the heart of New York City's historic Flatiron District. 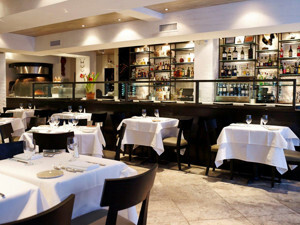 Offering contemporary American seafood and an elegant-yet-classic experience. 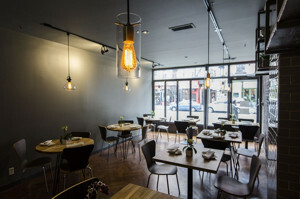 The scene at Thai favorite Topaz Noodle Bar is clean, sleek, and pristine, and you’ll find that in both the restaurant’s décor and in their dishes. Manhattan's premier all-glass, European-inspired dining cruise vessel. 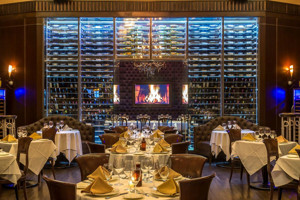 With locations in midtown and Union Square, Strip House offers an old-world steakhouse experience, complete with table-side carvings, decadent sides, an extensive wine list, and a famous 24-layer chocolate cake. A winner of Wine Spectator's 2018 Best of Award of Excellence. 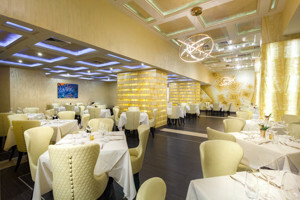 Spirit Cruises is New York City's most vibrant and entertaining dining vessel. 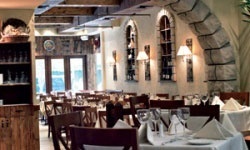 Fine Mediterranean seafood and tapas, craft beers, cocktails, and boutique pan-Mediterranean wines in a beautiful intimate setting. 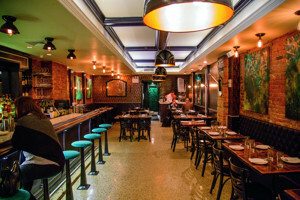 Wine and cocktail bar in Midtown West. Named after the mothers of the owners, so you know it’s a labor of love. Fresh, farm-to-table approach at an affordable price. 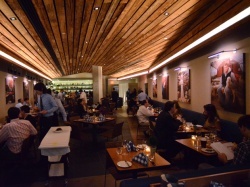 Modern American restaurant by award-winning celebrity chef David Burke. Stately townhouse on UES showcases Burke’s creative, contemporary approach to classic fare—often with showstopping presentations. 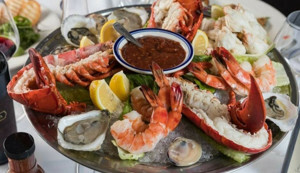 Signature dishes highlight seafood, steakhouse staples, and beyond, including Livid Lobster Dumplings with spicy tomato, BBQ bison short ribs, and Burke’s famous “Clothesline” Candied Bacon. 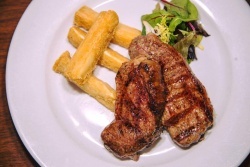 Himalayan salt brick-aged steaks utilize Burke’s patented dry-aging technique. 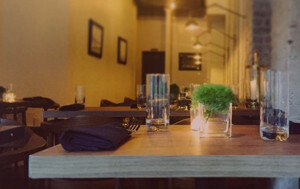 Food matched by thoughtfully curated wine list, craft beers, and specialty cocktail program! 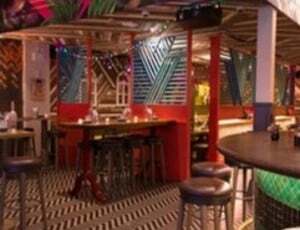 Presenting a fresh alternative to the mundane, Ashford & Simpson’s Sugar Bar is an intimate, full-service restaurant, showcasing local and international talent. Performances run from R&B/soul to to jazz to Caribbean to traditional African rhythms. 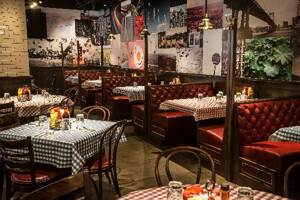 Bill’s exploded onto NYC’s burger scene in ’09, becoming an instant hit with burger junkies and locals. 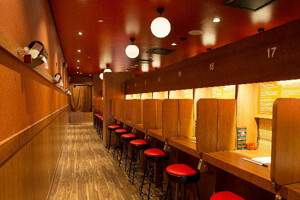 Rockefeller Center location opened in ’10 with 400 seats, making it the biggest standalone burger joint in the country. Every burger, shake, and fry, in dozens of varieties and counting, is made fresh daily. 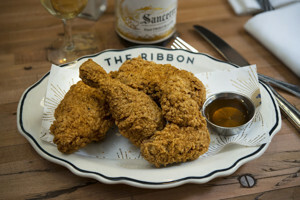 Upper West Side favorite The Ribbon has arrived in the Theater District in an elegant setting that pays homage to old New York. 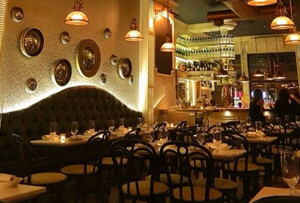 Open since 1970 in Greenwich Village, Tio Pepe combines two surprisingly dissimilar cuisines—Spanish and Mexican—and offers a lively bar scene, a sidewalk cafe, Latino music, and a main dining room with a skylit garden patio room, chandeliers, and stone and brick walls. 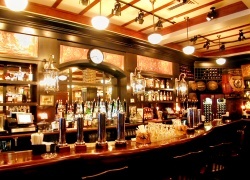 This handsome and roomy Times Square location offers Heartland's renowned handcrafted beers and a hearty steakhouse menu. 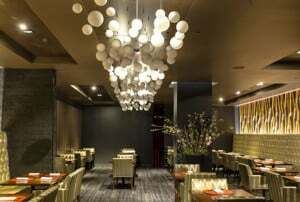 Fresh spin on Asian fusion cuisine with a modern twist. A Cajun, Southern, Italian affair! Voted best wings in NY State. 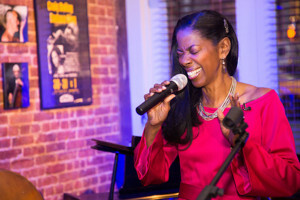 Most exciting LIVE jazz/blues in midtown! 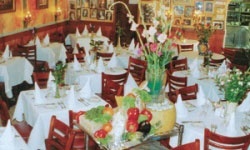 Known for their uncompromising choice of the finest cuts of beef and the freshest vegetables-high quality food at reasonable prices in a charming, warm, cozy atmosphere. 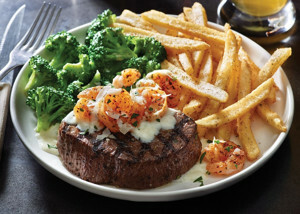 Serving hearty All-American family fare since 1980. This converted Brooklyn carriage house is home to inventive American food, cocktails, and a hyper-local beer list not available in any other Williamsburg restaurant. 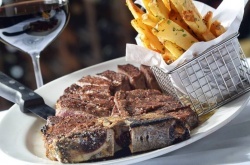 From the beautifully marbled cuts of dry-aged beef to the impeccably refined Old World service and charm, Benjamin Steak House prides itself on a quality dining experience in an elegant midtown setting. 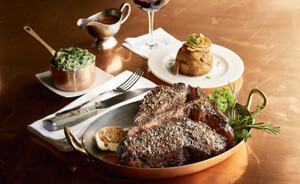 Benjamin Steakhouse Prime combines modern elegance with traditional steakhouse classics, while showcasing signature standouts from highly regarded sister property Benjamin Steakhouse. Finest cuts of steaks, freshest seafood, a premium selection of 400+ wines, all in a beautiful surrounding with exceptional service. 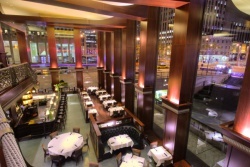 Two convenient locations in Midtown: East Side near Grand Central, West Side in the Theater District. 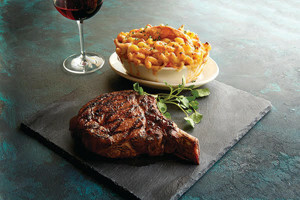 The ideal steakhouse for a memorable dinner (or just a classic power lunch). 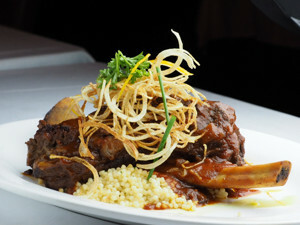 Celebrity and sports hangout serving some of the best prime ribs of beef, steak, pasta, and seafood in town. 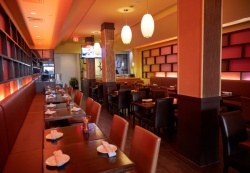 Open 7 days a week for lunch, dinner, and late night dining. 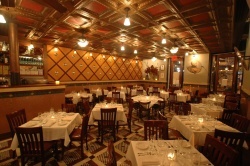 Italian steakhouse serving highest grade prime-aged beef, aged in-house, as well as Italian dishes like veal Milanese, chicken Parmesan, and seafood linguini.